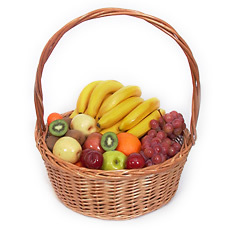 "FRUIT SUBSCRIPTION" means that Fruktmix will deliver one or more baskets full of fresh, healthy fruits to your office weekly. 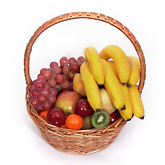 Fruits vary by the season. 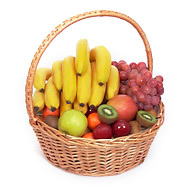 Baskets are exchanged on the full for an empty one basis, and if you want to keep the basket, there will be an additional charge of it, depending on size. Subscription begins from whatever date you choose and ends with one week notification. Prices include FREE DELIVERY to your office, or an address specified by you within the city limits of Sofia. ЗА АКТУАЛНИ ЦЕНИ НИ ПИШЕТЕ!